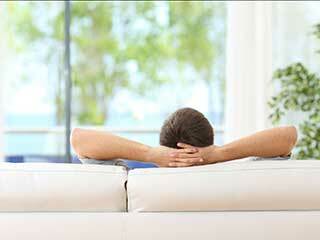 Air quality in your home is imperative to the health of you and your family. Every homeowner knows that clean air ducts maintain a supply of clean indoor air. We encounter toxins, allergens and pollutants every day and keep families free from all types of sicknesses associated with ingestion of their particles. By professionally cleaning your air ducts we essentially look after the health of you and your loved ones. This is why we take special pride in what we do every day. When assessing a particular situation, we carry out a set of standard procedures to inspect and detect issues with your HVAC system’s efficiency. These tests are the first step towards reducing health risks and optimization of productivity and safety in your home. Most of the concerns our customers have are resolved by a thorough cleaning of the air ducts in your ventilation system. An unobstructed ventilation pathway will guarantee more than just clean indoor air – it will also mean reduced energy bills, as performance will be improved. Our expertise and equipment make no job too big or too small for us to handle. Whatever your needs, from cleaning the supply and return grills to rigorous sweeping of the interior surfaces of the ductwork, we are the leading practitioners in Richmond. In the most severe cases, your air ducts might need to be repaired. A replacement will be due if there is substantial damage to the structure of your HVAC system. Also, an improper installation of air ducts sometimes warrants a replacement. Luckily, we have you covered. Our technicians take all necessary steps in ensuring your ducts are replaced and repaired to the latest industry standards. What sets us apart from our competition is the combination of fair rates and an outstanding service. This blend has kept us in business for a long time and we are not planning on changing our policy anytime soon. Call us today to find out why we’re the best in the field.